Meet Pippa; the sassy Italian Greyhound who is my constant companion and best friend. She is now two and a half years old, and has been with me since she was eight weeks. She has now spent almost half of her life on the road with me. Crate Training: harder for ME than for her! Exposure to lots of different things, like kayaking with a life jacket! Pippa received specialized service-dog training to help prepare her to help me cope with symptoms of PTSD. Although she is trained and vested, I have chosen (for a variety of reasons) not to ask her to work for me in public. So, we face the same issues everyone travelling with a companion dog face. Although rarely on “duty” formally, her early training helped her become a flexible, confident little dog who trusts life. As you well know, if your furry friend isn’t happy on the road, chances are you won’t be either. Every dog is unique, there are many ways to train and each person is different, so this post is in no way meant to be instructional. I’ll just share a few ideas that come from my own experience that may (or may not) be helpful as prepare put your own wheels in motion. I’m inspired to write about this today because we just had a great time in a town called Tombstone, where we did the “tourist thing.” Which we don’t often do. Pippa was included in the entire experience; including eating at a restaurant, going on a silver mine tour and taking a stagecoach ride. I was so proud of how well she dealt with all of these situations, but I know it didn’t happen accidentally. I hope my encouragement may help my friends with dogs explore how they can support their furry friend to be comfortable out here. Wherever that “here” is for you! Standing next to the towering work horses, Pips didn’t bat an eye! I want to emphasize that her early training – particularly the work to de-sensitize her to sounds and new situations- is a big part of why she is well socialized. She had regular and purposeful contact with animals, people and environments. The world can seem quite scary to a small dog, but all the early exposure with lots of rewards for good behaviour really helped. Continuing to expose her has maintained her comfort. The trainer taught me how to do this, and I carried on this work. If this is your circumstance, it will be helpful to begin broadening your friend’s horizons sooner rather than later. Don’t wait until departure day to introduce her to the whole world. Start today, and start small. Establish where in the vehicle they will ride and reward them when they are there. Make sure they can’t distract you or make driving unsafe in any way. Take them out for increasingly longer drives. Try leaving them in the vehicle for five minutes and see how they do. Try giving them a very special treat to work on, while you are gone. Walk them in new places each day, exposing them to a variety of situations and people. Do a really thorough assessment of your dog’s needs and behaviour in the vehicle and in public . It’s quite possible it will be different than at home. Do they growl at other dogs, lunge at children, bark at old people or cower when faced with unfamiliar noises? Are they anxious in the vehicle? Over-excited? Over-protective? Do they have separation anxiety? Are they destructive when left alone in the vehicle? Try feeding your dog in the vehicle. Will the accept their food in a new environment? Will they take a treat while they travel? Drink water? It took Pip a week or two to eat normally on the road. She needed the quiet of a closed van, and me sitting right beside her at first. It’s important to remember that your home has been their castle and they have you well-trained to keep the environment just the way they like it. On the road, the environment is always changing. Give them as many varied experiences as you can before you leave, so you can better predict how they will do. Reward them frequently when they are calm in new situations. If you discover a trouble area, actively work at helping them cope. Talk to friends who travel with their dogs, read books about dog behaviour, watch some YouTube videos or contact a trainer for a consult. Keep practicing, and reward all good behaviour. Don’t expect overnight results. It really does help to do some research on positive training techniques that build on your dog’s natural desires and instinct. Children don’t raise themselves, and neither do dogs. They are utterly dependent on us to lead the way. Pippa had trouble with flailing toddlers and large farm animals. Because flailing toddlers are innately dangerous to a ten pound dog, I accept her distrust and preference for not being close to them and we mostly avoid them. That’s easy out here. However, we do meet up with many farm animals and because I have consistently exposed her and rewarded her for not barking at them, she now calmly accepts their presence. I’m so proud of her! It’s important that we never let our friends harass the free range animals we come across. They won’t bother a dog, but could kick them if they were barked at or challenged. Curious, and on alert, but no longer barking. She can now sleep with a cow under 20 feet away! Aside from behavioural issues that can be troublesome, there are less obvious things to consider. Like what it means for you. For me, it means Pippa gets what she needs first. All day, every day. If I don’t take care of her comfort first, everything falls apart really fast. Her needs include food routines, fresh water, exercise, play, attention, affection, closeness, predictability, pleasant surprises, stimulation, praise, adoration, dried liver dust on her food, and rest periods. She sometimes adds new needs without alerting me first. Once her needs are met, I am free to start making plans for me. But not a moment sooner. Consider training your dog to wait for permission to get in and out of the vehicle so this happens in an orderly fashion. This keeps them safe. Your pup will likely need more specific exercise than at home, because she now lives in a smaller space. This usually means more frequent walking for you! You may not be able to get their brand of food everywhere. I keep lots on hand and stock up when in an urban centre. Carry your dog’s health papers/ immunization papers with you for border crossings and in case of an emergency. Have up to date ID on their collar and a contact number for you. Have a plan for your friend, should anything happen that separates you. Does your dog have a god-parent? My sister has agreed to care for Pippa should I ever be unable to. It gives me peace of mind. Put it in your visor with your health information and contact info. Have an emergency fund for unexpected vet bills if possible. Keep their immunizations up to date. When in transit, take breaks regularly for quick walks, although I sometimes use the “letting sleeping dogs lie” approach, and stop mostly when she needs it. Either work 🙂 We take three purposeful walks a day that are 20 minutes or more. Basic training, repetition, relationship, exposure and reward: there are really the keys to helping your pup enjoy life on the road. Just like with children, gentle consistent and loving parenting get the best mileage. Expect new behaviours as they adjust to a new life, and be ready to figure them out. Be more patient than you can currently imagine. Wearing her little rubber balloon booties, which help her to walk on some of the sharper rocks found in some areas of the desert. OK, so what do I do with Pippa when I go shopping? Pippa is kennel trained; when she was a puppy she regularly spent short periods of time in a crate, just enough room for her to stand and turn around in, and lie down comfortably. She was rewarded while there, and learned to enjoy her rest time. This has been immensely helpful for us and I’m a big fan. When in her kennel, she knows she is “off duty” and she rests. She can be crated at the vet without stress, can travel on an airplane, and if I need Pippa-free time, I have a comfortable, predictable place for her to be that we both feel good about. It also means I have a way to safely leave her in a motel, in a friend’s rig or any other unexpected place, without stress to either of us. Note the kennel in front of door. It also serves as my footstool, and is where I store her food, leads, and water bowl when not being used. I can’t imagine life without it. When kennelled in the van, she isn’t able to see what is going on outside, so isn’t compelled to guard us. No one can see her, which means I’m the only one actively worried about her wellbeing at any given time. She won’t draw attention to herself by barking at people going by, and she will never appear to be in distress to a stranger who doesn’t know what measures I have taken to keep her safe, or how long I will be gone. No one will ever question if she is ok. That’s my responsibility, and it gives me peace of mind keeping it that way. I know this isn’t an option for everyone, but this is what has worked for me with little Pips. I shop every couple of weeks for half an hour, so it’s not a big issue. Most grocery stores are open early and close after dark. I simply go at dusk or dawn, when the temperature in the van is comfortable, or on a cool or overcast day. It’s helpful that Pippa as no fur and no body fat, and prefers a bit of heat to being at all cool. Each dog is a bit different. That said, I take heat seriously, and have insulated window covers on all the van windows so no sun never gets into the back; keeping it surprisingly cool. I park in the shade. I have a large “fantastic” fan and a small 12 volt fan that I turn on if needed. But to be truthful, it’s that hot, I just don’t do it. I can leave Pippa comfortably for up to four hours in her crate. I rarely do, but I can. She’s happy, I’m happy. There are some things we just don’t do. Just like how if you probably wouldn’t take your three year old to the opera or a poetry reading. I adjust my activities so we both get to enjoy life out here. That’s the core of our relationship: my ability to compromise. National Parks aren’t all dog-friendly. We don’t go to them, preferring boon-docking and occasion state parks. I enjoy art galleries and quirky road-side attractions and many in the southwest are pet friendly. I’ve been pleasantly surprised at how many places invite a well behaved dog to come in. Quite a few restaurants also allow for pets on their patios. But for us, 80-90% of our time is spent in nature, boon-docking without services and some distance from other campers. Here, we have the space and time to enjoy all that we enjoy naturally, without many worries. Many many people and their “less-than-social dogs” do well in this life and enjoy the stimulation of new places and living closer to nature, quite free from social pressures and interactions. Heck, many of us prefer this ourselves! If you have a special needs dog, you will find yourself doing special things to help them and that’s pretty much what love is all about. At the end of the day, this is as much Pippa’s ride as it mine, and I can’t imagine it any other way. The Lady Van-Pippa. Queen of her Dodge Caravan. Next ›Day 25: A Foot. I finally was able to get back to your blog writings and this one truly is up my alley. Wanting to travel with my pup, I try to expose him to lots of the world. But when my husband and I travel together he’s more into worrying about one of us if we leave the other for even short amounts of time. His anxious behavior involves whimpering and not relaxing until the we are all united again. He loves other dogs (attends day care when I teach) but will growl a bit when we are approached by some on leash. Although he’s anxious to go see them if he spies them in front of us. Confusing. but this is more so when my husband is with us. Any thoughts? I may just take him with me out sketching this summer just for the practice for when I’m ready to launch my camping art trips. Which I’m dying to do. Baby Pippa!!! 😀❤️🐶 This is awesome! What a lovely commentary on how you’ve handled Pippa on the road! 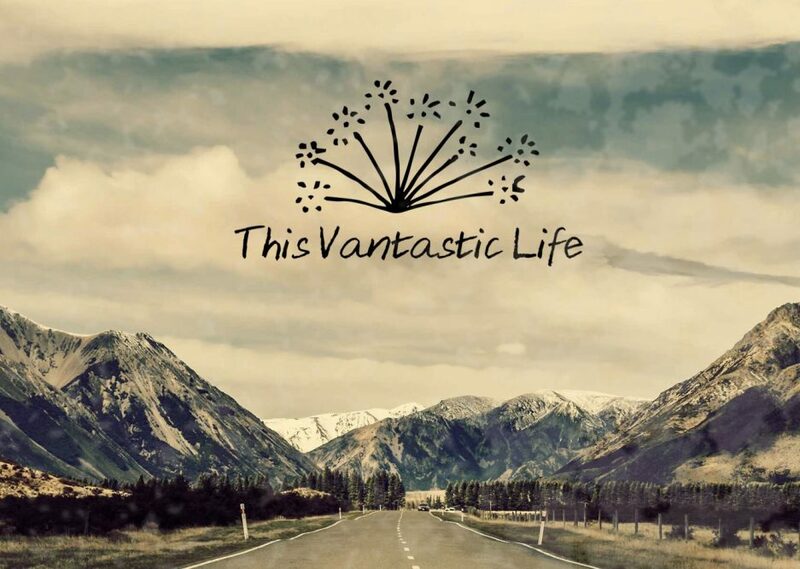 Loving your musings, photos, artwork and overall sharing of your adventures on the road! You are a wonderful doggy Momma!!! The world needs more people like you.